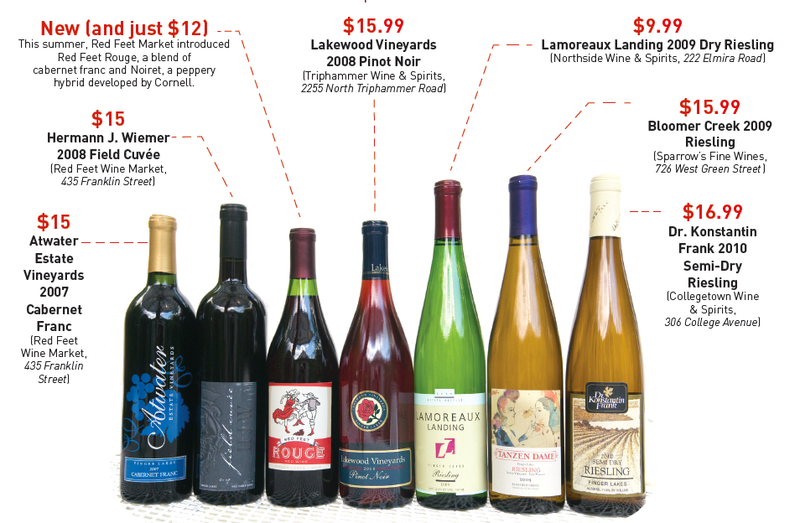 Some longtime Ithacans still think Finger Lakes Wines are overpriced or overrated. That’s so ten years ago. Now, with the Finger Lakes producing award-winning Rieslings and garnering 90+ ratings, it might be time to take another sip. Here are five things that have changed over the past decade. 1. Getting to know the land. No one believed Dr. Konstantin Frank could make old-world European vinifera vines thrive in the much colder climate of upstate New York. Even after he succeeded in the ’60s, grafting varieties like Cabernet Sauvignon, Chardonnay, Riesling, and Gewurztraminer onto Canadian root stock, it took a while for others in the region to switch from the sweeter native grapes and French-American hybrids to vinifera, which produces more complex, longer-lived wines. 2. 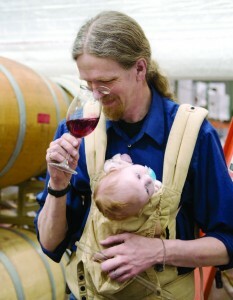 Perfecting the art of winemaking. 3. The payoff: awards on the international scene. “Right now, we have been getting kudos from a lot of places,” says Staci Nugent, winemaker at Keuka Lake Vineyards. Finger Lakes wines have been making a name for themselves in international blind tasting competitions, like the Riesling du Monde, Pinot Gris du Monde, and Canberra International Challenge. “People don’t realize that this could be the next Napa or Sonoma,” says Nugent. 4. More payoff: coveted 90+ ratings. On NPR last month, you might have heard Evan Dawson, morning anchor of WHAM-TV in Rochester and the author of Summer in a Glass: The Coming of Age of Winemaking in the Finger Lakes. Nothing produced in the Finger Lakes earned 90 or higher on the wine scale until 2008, he noted. “Then, early in 2009, three more [did], and now it’s happening with regularity,” he said. 5. Look who’s joining the party. Louis Barruol may not be a household name in Tompkins County (yet), but he is a big deal in the wine world. And what’s an even bigger deal is that Barruol, vigneron of the famous Château de Saint-Cosme winery in France’s Rhône Valley, searched the world for a spot to start a new venture and chose the Finger Lakes over Australia, New Zealand, and South Africa—quite the endorsement. Look for 2011 vintages of Riesling and pinot noir from Forge Cellars, though with production at just 300 cases each, don’t expect a bargain. For good Finger Lakes value right now, see page 21. 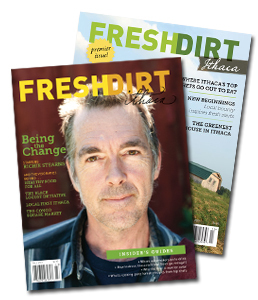 Fresh Dirt Ithaca asked five liquor stores for their recommendations.